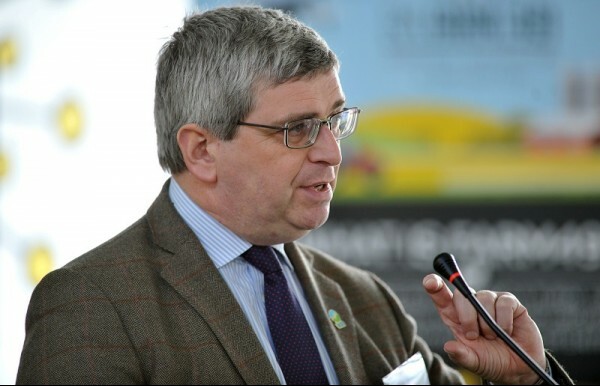 The challenge emerged at the latest Let's Grow workshop which saw leaders working across the food supply chain meet at the Royal Agricultural University (RAU) to discuss the future of rural business and communities. The group, chaired by RAU’s VC, Prof Joanna Price, heard the findings of consultant Martin Collison, who was commissioned by the Agriculture, Food and Rural Business Group of GFirst Local Enterprise Partnership (LEP) to analyse the value of farming, food and drink in Gloucestershire. Mr Collison found potential for the county, already the home of GCHQ, to lead in digital security in the supply of food: "As the food chain goes online the cyber security issue comes to the fore. Gloucestershire has the chance to grasp this." Cheltenham Cyber Park provides a clear head-start in this area, aligned to the fact that food supply chain jobs, local produce and expertise in universities are strongly represented in the county. He added: “The digital world is coming very fast - in the way we buy and sell and with robotics and automation changing how food is produced. It’s important that the consumer understands where food comes from and everything that goes into that. Once that goes online there is a major risk around cyber security. This is a global need. “There’s a sweet spot. The food chain is changing and cyber security will be needed as digitalisation impacts right along the supply chain. Bringing the two together is something Gloucestershire could do as well as anywhere in the world. It will be in demand. Let’s build on it and drive it forward. “On the digital side, this is a sector that is growing on a global basis in relation to the food chain. Venture capital funds going into digital aspects of agriculture and the food chain have risen by 45% in a year on a global basis. But the UK hasn’t really grasped it – that growth has been mainly in the US and China. Mr Collison also revealed that the ‘end to end’ food chain in Gloucestershire accounts for 14.9% of the jobs in the local economy, compared to 13.2% nationally – and about 9% of the local economy, compared to 6.5% nationally. Discussions at the event and the future work of task and finish stakeholder groups will now feed into the county’s Local Industrial Strategy. Earlier in the week, at the RAU’s new professorial lecture series, one of the UK’s experts in global food security said retaining consumer trust was vital as the supply chain becomes digital – for example with more food being ordered online from unseen kitchens. Louise Manning, Professor of Agri-Food and Supply Chain Security at the RAU, spoke on the subject of 'Food supply chains: security, integrity and trust'. Food integrity – being honest about how food is sourced, produced & distributed – is a central theme of the RAU’s two new Postgraduate courses which are aimed at creating future leaders in these areas – our MBA Innovation in Sustainable Food and Agriculture and MSC Sustainable Food and Agriculture Policy. Both Prof Manning’s lecture (and a lecture by David Main, Professor of Production Animal Health and Welfare on 'The role of farmers, advisors and government in demonstrating excellence in British farming') are now available to view online.